I used to wear plain socks - mainly black ones but I've branched out. I'm not a big person and I just don't feel right wearing most patterns. It's not that I steer clear of bright colours - just no big patterns. 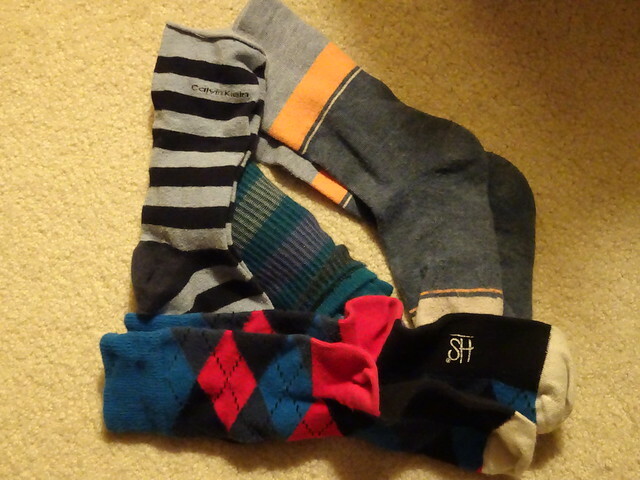 Inspired by my son, I now have a variety of socks - argyle, striped, polka dots, snow flakes... I let my feet add a little zip to my wardrobe. I'm on the lookout for some brighter ones for spring.